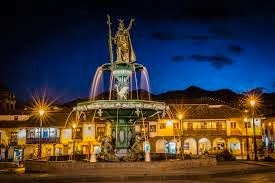 Peru is a holiday destination that is known for its archaeological gems and most of the people visit this place to explore its rich history and enjoy the sightseeing of the diverse wildlife and have some fun. This place is beautifully surrounded by some famous tourist hot spots providing you an opportunity to explore them also when visiting this place. The places which bordered Peru include Colombia, Ecuador, Brazil, Bolivia, Chile etc. The rich culture, exotic and dense jungles, rugged deserts, icy mountains etc. provide unending fun and excitement to the travelers. You can go for trekking, become a part of the local fiestas and explore the colorful markets during your trip. The nightlife here is also amazing. In order to reach Peru, you will have to book a flight to the Jorge Chávez International Airport which is located in Lima, the capital city. All the main airlines from Atlanta, Houston, Dallas, Los Angeles, Newark, Miami, New York, San Francisco etc. are linked to this airport making it easier for the visitors to reach in here. 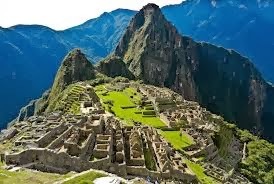 Among the several tourist attractions present in Peru, the most impressive and beautiful ancient site is Machu Picchu. Here you can have a sightseeing of the Lost City Of Incas that is self-contained and bordered by agricultural terrace which are watered by the natural springs. This place is generally invisible from outside and not much known to the tourists hence there are chances that you might have missed it. The Colca Canyon is located at the Andes Mountain in the southern part of the city and is a valley beside the River Colca. It has a depth twice the depth of the Grand Canyon. Apart from this, another major attraction that can be seen by you are Andean Condors that float on rising thermals. 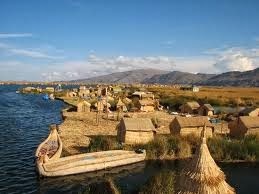 The Uros Island is made from dry torota reeds and is located at the Lake Titicaca. This artificial island is a major attraction of the area and you can reach there by talking a boat. The island is made up of reefs that degrade with time and hence people keep adding more reefs at the top. Since the reefs degrade at the bottom the floor is spongy on the island. There are several other places like Iquitos, Chan Chan, Huacachina etc. that can be visited by you during your vacations. The accommodation facilities are numerous and you can easily enjoy a refreshing holiday trip to Peru.